A few people have asked me why schools have seven weeks off this year. Some have suggested that it was an error on behalf of the local authority, but I don’t think this is correct. For a start, if it was an error then it’s an error repeated by the majority of local authorities around the country. I think the fault of our extra long holidays falls firmly at the hands of our solar system, and is a quirk of our calendar. A school year consists of 39 weeks of school (including 5 training days) and 13 weeks of holidays. That neatly adds up to 52 weeks which any child can tell you us the length of 1 year. Except it isn’t. 52 weeks is 364 days, but a year has 365 or 366 if it’s a leap year, due to the fact it takes 365 and 1/4 days for the earth to orbit the sun. This discrepancy of 1 or 2 days between a school year and a calendar year means that the school year gets earlier and earlier each year. Every 5 or 6 years, depending where leap years fall, we get an entire week earlier. So to keep our summer holidays in the summer it is necessary to have an extended summer holiday every 5 or 6 years because the Earth refuses to work in multiples of seven. In my school with have a shorter summer holiday, which means we will get 6 weeks this year. Don’t feel too bad for me though, we get two weeks off in October…. Today I was playing a game on my phone. Marvel puzzle quest if you’re interested. It’s based on characters from Marvel, follows story lines and it’s game play is a bejewelled type match game. If you enjoy those games and like Marvel then it’s worth a download. And let’s face it, you’re the sort of person who spends their free time reading maths blogs. So there’s a good chance you will enjoy it! Anyway, back to the point, at the end of each level you recieved a reward, most levels have 4 possible rewards and you get one of them chosen at random. You can replay the level and earn all the rewards, each time you get one at random, however the pool does not decrease and if you are randomly assigned one of the ones you have already won you get a non reward, as it were. This morning I had completed a level. I’d beaten Venom, for those of you interested. I then replayed it to try and gain the other rewards, after 6 goes I’d had the first reward then 5 non rewards. What are the chances of that? I thought, then quickly answered 1/4^6 obviously. That’s all well and good, but then I thought “it’s got to be a different one this time!” And got very angry at myself. These are independent events. The probability of the next one being a non – reward is clearly still 1/4. Yes, the odd of getting 7 in a row are tiny (1/4^7) but so are the odds of getting 6 in a row then one of the others (3/4^7). This is something I spend a lot of time discussing in lessons, because I know it’s something learners often have trouble with, so I should have known better than to let that thought sneak into my mind. I was reminded of the Derren Brown show where he threw ten tails in a row on a fair coin. It’s a clip I often use in lessons and ask students to conjecture how he did it, rarely do any get the right answer (I think perhaps only once!) The answer, for those wondering, is that he threw the coin over and over until he got ten in a row, every time he got a head he started the count again. I think he said it took him 16 hours. He could do this because he knew it would probably happen eventually. In both these instances, this row of events taking place looks highly unlikely. However Derren repeatedly did it until he got the result he was looking for and I’m probably one of millions of people playing that game and so it’s bound to happen to someone. Probability is a funny thing, and I think a bit of knowledge about it can lead you to fall into the trap I did. I knew the probability of 7 in a row was low, but for a second forgot that we were looking at the probability of 7 in a row given that we already had 6 in a row! Friday was the last day of term. The end of another year “at the chalkface” as it were. This year was my first in a new school, and that itself brought challenges. I wasn’t prepared for quite how massive a change it would be to move schools. Going from being established, knowing all the students and being known by them to being a new face unknown to all. In some ways it felt like being an NQT all over again, not knowing the systems or the kids,except this time I had experiences to fall back on and I feel I found my feet faster than I had back then. The government have certainly kept us on out toes this year, massive curriculum changes, rejected sample assessments, an internal war within ofsted around lesson grading. It’s been a fast changing world, Education. We have been involved with the early adopters programme fro Core maths, which is extremely interesting, but brought it’s own set of challenges. No specification until Christmas and still no way of knowing how best to assess learners on this new course with it’s new methodology. Now we I’ve into summer, having said goodbye to learners who have left, hoping to gain the grades in august to get them onto the next level of their journey. I know they put the effort in, and I hope they all get the grades they want. I was blown away by the school production, my former schools has a history of performing arts and I had sen some phenomenal productions there and I didn’t think any school could match it, but I they did. The show was beauty and the beast, and it was amazing. The title roles were performed by a year 8 and a year 9 yet we’re played with a maturity and professionalism way beyond that. I can’t wait to see how brilliant they are when they reach the sixth form. It’s a year ago since I left my last post, and I’ve been reflecting on that this year as I have watched others moving on to the next stage of their careers. I’ve missed some of the classes I had in my old school, and some of the people I worked with. Former pupils seem to be a recurring theme lately, I’ve run into quite a few who now work in bars, restaurants and bowling alleys I frequent and it’s great to catch up and hear how they’re getting on. I was even found on Monday by a year 10 at my new school who had met one of my old tutor group at a party and he’d promised to pass in her best wishes. Whenever I bump into or hear from former students it’s great, and I was particularly happy to hear that a few of them have passed their first year of their degrees with flying colours. Summer is now upon us, time to recharge and reflect ahead of the new year, which will be here sooner than we think. I was once told by a senior leader that one NQT was outstanding and one required improvement. The outstanding one had made less than expected progress over the course of the year with the class in quest and the requires improvement one had made more progress in his class than any other class in the year group. It was this experience that led me to really believe that the criteria people were using to judge teaching was fundamentally flawed. A colleague told me a few weeks ago that he’d “never be outstanding” but would get his classes to make excellent progress. I told him that this made him outstanding and that finally, since the Sutton trust report and reviewed ofsted guidance, this was being recognised by the inspectorate. The colleague then raised this idea in a training course with a lead ofsted inspector who told him he “vehemently disagreed” with this idea and that engagement and gimmicks were required to be outstanding. He apparently spoke highly of use of mini whiteboards but then said their use needed to be evidenced in books, which kinda defeats the point, in my opinion. I was disheartened by this news, because it seemed that despite ofsted making progress at an institutional level that lead inspectors weren’t paying the blindest bit of attention. But then I found myself in a meeting with a different lead HMI inspector who spoke of teaching and learning judgments being intrinsically linked to outcomes. This gave me hope that the first guy had been a rogue. This comes from the idea that meta cognition is something that has a positive effect on learning. I can believe this. But meta cognition is sharing the destination and how to get there with the student. Writing success criteria on every slide isn’t meta cognition, it’s ticking a box, especially given that some people don’t even discuss them. And other random name selection devices. I’m not massively against their use, if a teacher struggles to include all students in their own questioning then by all means use them. But there are many occasions where targeted, differentiated, questioning is more relevant. I know one teacher who was applauded for his use of them, but actually he’d used blank ones and targeted the questions, using them purely because he knew the observer liked them. The idea that verbal feedback needs written evidence seems silly. A former colleague asked me recently I’d I had any ideas of how he could evidence verbal feedback. Student notes weren’t good enough at his school and he needed a way to evidence it better from a teachers perspective. The only way I can see is to type or write it out, but then it ceases to be verbal feedback and becomes written feedback. Surely the improvement in the quality of the work is evidence itself? There are many other ideas like this, some based on solid foundations but losing their meaning through the mandatory nature they are imposed and the relentless need for evidence. I’ve even heard of schools where teachers have their entire lessons prescribed for them. Surely this is not what it should be about? Surely, as teachers, we need to be in charge of our classrooms, and using our knowledge of our subject and our students to plan the best lessons for each of them to progress? Hello, and welcome to the 87th Edition of the monthly blog carnival “Math(s) Teachers at Play”. For those of you unaware, a blog carnival is a periodic post that travels from blog to blog. They take the form of a compilation post and contain links to current and recent posts on a similar topic. This is one of two English language blog carnivals around mathematics. The other is “The carnival of mathematics“, the current edition of which can be found here. 87 is an interesting number, it is semi – prime, with prime factors 3 and 29. It is the sum of the squares of the first 4 primes and the sum of the factors of the first 10 natural numbers. Sue Van Huttam has written “Teaching my son” which lays out the downside to unschooling. 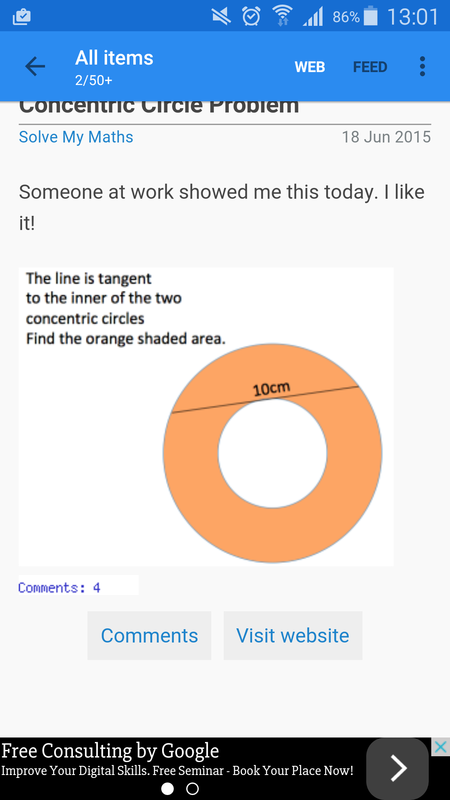 @teachmathfree have shared “find the day” which is a nice little trick to impress your friends and classes. Pawan Kumar has shared three posts, the first “Team selection” explains the concept of combination starting from a permutation. It doesn’t use a formula, rather logically arrives at it. It is a part of a set of posts about understanding and solving basic probability problems. I wrote these posts for the math club at my daughter’s middle school. The second: “My shoes have negative weight!” is one of the fun math/science conversations I have had with my middle schooler. When my younger kid made a seemingly impossible claim, my middle schooler was ready to dig into the possibility of negative weight. And the third is Why don’t we teach the whys?” I wrote this post when my daughter was repeatedly disappointed by being handed out formulas without any explanation of how they came about. It includes couple of conversations which show the joy of the Aha! moment that she was being deprived of at school. Manan Shah (@shahlock) has submitted “Welcome to the second grade Dr Shah” which he tells us is: This blog post is the teacher’s retelling of the events that took place when I went to a second grade class. All in all, a great, fun experience for all. Graph Theory in second grade isn’t out of their reach! Celeste Sinclair (@mysterious_jedi) submitted “Rethinking Statistics” Reflections and resources related to teaching one-variable statistics to 10th graders. The final submission is from Festival founder Denise Gaskins (@letsplaymath) who shares her New Internet maths reference pages. which is a collection of excellent links. I wrote this piece in the challenges facing teachers and maths teachers in particular. Stuart Price (@sxpmaths) has put together a lovely post outlining his philosophy on maths teaching How I teach maths. Paul Collins (@mrprcollins) has put together a lovely write up of a year 2 problem solving day he was involved with. Ben at Math with bad drawings (@benorlin) has put together this fantastically funny post that had me in stitches.